As part of the support provided by San Diego Zoo Global for our 2017 Wildlife Trade Symposium, we were able to support nine delegates from developing countries through a bursary scheme. Below are just a few testimonials on how their attendance at our Symposium has since helped them on their path to addressing the illegal and unsustainable wildlife trade. Previously a project manager at Zoological Society of London (ZSL)-Philippines, I implemented Project Seahorse’s iSeahorse, a citizen science initiative with components of policy advocacy relating to CITES and community-based marine protected area establishment. Attending the IWT Symposium was a great opportunity to meet and network with passionate people who are working on illegal wildlife trade. The break-out sessions or workshops were helpful to deepen my knowledge on specific areas, particularly the ethical and moral issues concerning biodiversity security. Further, I like ithe set up during meal times as it provided more opportunity for the participants to talk about research interests and the projects. I observed though, that studies and projects of illegal wildlife trade of marine organisms were not well represented in the symposium. As a marine biologist and conservation practitioner working on seahorses and marine ecosystem, I think there’s a huge gap in conservation efforts dealing with marine animal illegal wildlife trade. My attendance at the symposium has increased my interest in addressing the illegal and unsustainable wildlife trade. 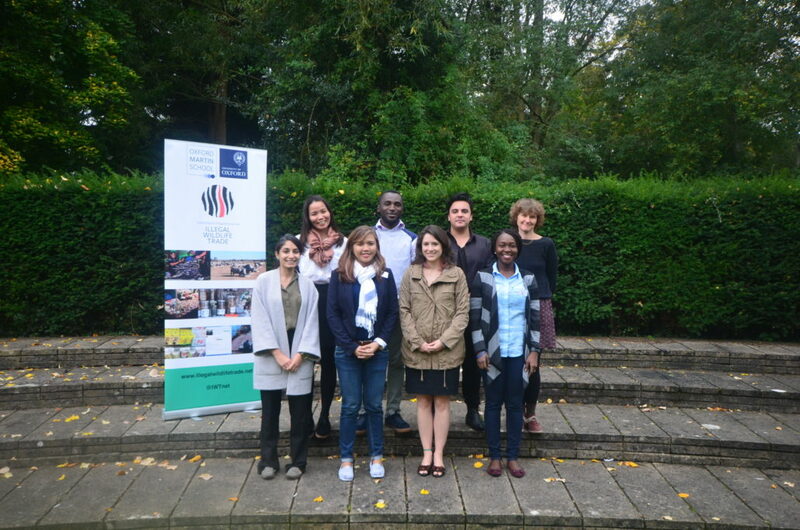 Currently, I am one of the cohorts of MPhil in Conservation Leadership program at University of Cambridge and I am looking at placement projects focusing on working with the government, policy development and enforcement-wise, on how to tackle illegal wildlife trade. – Chai Apale from Philippines, current graduate student at University of Cambridge. My interest is in Biodiversity conservation issues and sustainable use of wildlife resources. Through a bursary, I participated in the 2017 Wildlife Trade Symposium in Oxford, and I had a great experience. This conference provided an ideal platform for learning and exchanging of ideas as it was an international forum, and consisted of researchers, students, agency personnel, conservation stakeholders, and other wildlife conservation practitioners. The unique feature of the conference was its interactive sessions, which promoted informative discussions on the conundrums and ethical collisions associated with wildlife trade. The symposium has shaped and increased my understanding and knowledge of the illegal and unsustainable wildlife trade. And this has contributed as guidance for my PhD research which focuses on increasing knowledge of bushmeat (meat of wild animals) hunting and trade in the Sudan savanna zone of Ghana by documenting dependence on bushmeat, extent of the bushmeat trade, and drivers that enable or inhibit bushmeat exploitation, in order to identify potential intervention measures on how to best manage the threat caused to the long-term survival of wildlife populations. 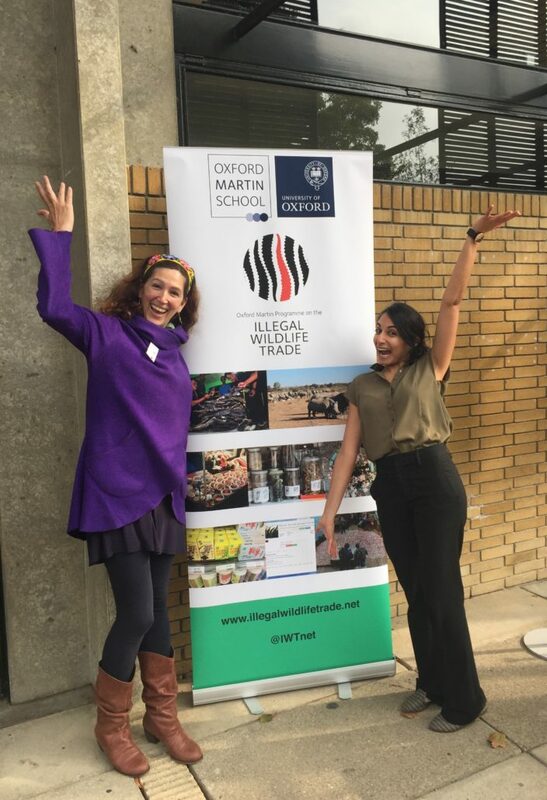 I believe the Wildlife Trade Symposium is a ground-breaking initiative by the Oxford Martin Programme on the Illegal Wildlife Trade at the University of Oxford. It was a privilege to be able to attend the First Annual Wildlife Trade Symposium and connect with both academics and practitioners in the field. After my undergraduate education, I travelled throughout the Asia-Pacific Region and worked with local communities on issues related to sustainable forest management. During my travels, I was exposed to the trade of endangered species and gained valuable insight into how localized cases of wildlife trade were part of a much more complex regional issue. At the Symposium, I was able to engage in fruitful conversations on current issues and initiatives in place to combat the wildlife trade. However, my previous experiences and the exchanges I had at the Symposium made me realize that most of the work on combatting the wildlife trade is focused on Asia and Africa. I was one of the few attendants focusing on trade issues in Latin America. In fact, I was aware of only one publication distributed at the Symposium that focused on this region (Sinovas et al. 2017). In my master’s program, I am exploring the ecological and social dimensions of a community-based freshwater turtle management program in the Amazon. This program, heralded as a success story of sustainable, legal harvesting and trade of a threatened species, warrants greater scrutiny. I am integrating population modeling and interview data analysis to assess how perceptions of success of the program compare to ecological analyses of the managed turtle population. It is my hope that the results of this research will be used by local organizations to better allocate scarce conservation resources. Moving forward, I would like to continue focusing my work on tackling wildlife trade issues in understudied regions such as the Amazon Basin and Central America so that I can present my work at more symposiums and conferences, and draw attention to the pressing issues emerging in these regions. I’ve started my MSc in Conservation and International Wildlife Trade at the University of Kent so this symposium was a great introduction for me before my course started and was fortunate to receive a bursary to attend. My background is mostly in wildlife and reserve management in Southern Africa and my practical experience with wildlife trade is limited to anti-poaching on the ground. It was really great to be able to speak to people in TRAFFIC, FFI about what they actually do – and therefore what I could actually do after graduating. I spoke to a couple people about doing my dissertation project with them, I decided to go in a different direction with it – but it was nice to have the opportunity to discuss it with people in the industry. I found it very difficult to choose between sessions, but obviously there are time constraints. I didn’t contribute very much to the discussions I attended – I was more interested in listening to people with actual experience in the field. It was fascinating to listen to people of completely different backgrounds (police officer, academics, researchers, etc.) discuss and debate their opinions. One of the topics that came up I actually brought up in class a couple weeks later because it was very interesting to me (If your informant commits a crime do you report them? What is the value of their information vs the severity of the crime, what are the ethics regarding this?). I attended both the online trade and dark web sessions and intend to use some of this knowledge in my dissertation and other assignments. – Kelsey Green from South Africa, current graduate student at University of Kent.